Quindy Relf escaped from slavery. 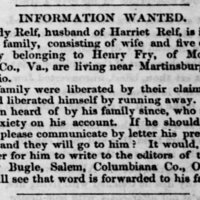 His wife and their five children were later manumitted in Virginia and went to Ohio. They are searching for him. An antebellum ad. 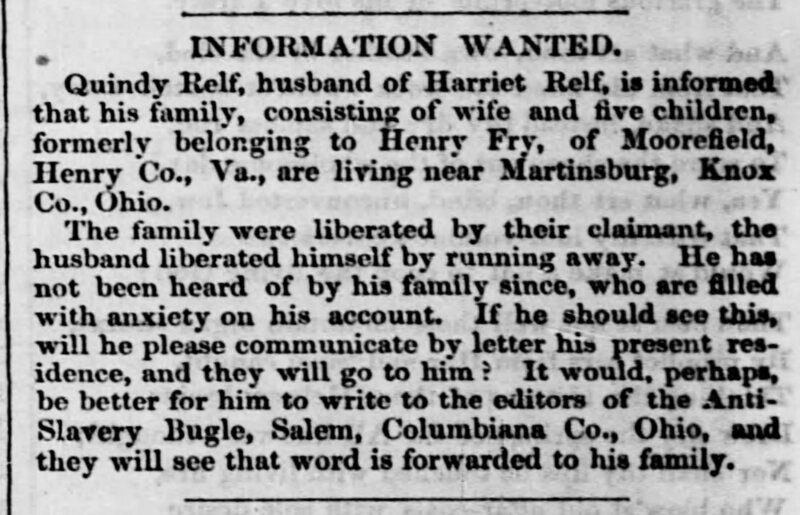 “Harriet Relf searching for her husband, Quindy Relf,” Information Wanted Ad, Liberator (Boston, MA), June 8, 1849, Last Seen: Finding Family After Slavery, accessed April 19, 2019, http://informationwanted.org/items/show/3297.